Not everything in the Congress-JD(S) coalition government in Karnataka is as good as its creators had anticipated. The only positive is that the unlikeliest union still holds majority but its fragility is only swelling with every passing day. From presentation of full budget by the new CM HD Kumaraswamy (which wasdisputed by former CM Siddaramaiah since he had presented the state budget in February this year) to leaked videos purportedly showing Siddaramaiah declaring that the alliance government will last only till 2019 Lok Sabha polls, the signs are anything but optimistic. These facts aside, let’s consider an important question first, and this calls the attentionof all the MLAs, no matter which party they come from, elected by the people of Karnataka as their representatives to take key socio-economic decisions on their behalf. Who deserves a governor’s call to form a government when the electorate has given a fractured mandate? This one problem has gripped the nation, more so, when in many recent state elections no single political party could win a clear majority of seats. Yet, there can be multiple best answers – the party that couldwin the largest number of seats, or a coalition of parties that can collectively come up with the magical figure, are options that can be availed by the governor. What is governance and why at all do we need a government? People cannot manage a territory on their own; hence they elect their representatives who can focus solely on collective development and take key decisions. These representatives elect their leader as chief minister, a scheme that is enshrined in the Indian Constitution. We all know what qualities a leader should possess, and on the top is the quality to manage the team and get work done. ‘Getting work done’ is not an artless job. At the centre, years of inefficiency and policy paralysis came to a halt once a leader who is both respected and feared won a clear mandate in the general elections of 2014. What has since followed is good governance, quick decision making and accountability of ministers and other party leaders towards the high command. Sadly, the same isn’t the scene in the state of Karnataka where the recently held state assembly polls saw political parties falling short of requisite number of seats- the BJP was called by the governor in the wake of it being the single largest party, the Supreme Court ordered a floor test within a couple of days of government formation, Congress and Janata Dal (Secular) sequestered their newly elected legislators, the BJP government had to ultimately resign and the Congress-JD(S) combine came to power. No, this is not unethical on its face. For want of stability and to prevent any unwanted repetition of conducting polls, coalition governments must be welcomed. But a glance at the Congress-JD(S) coalition government in Karnataka is enough to tell what is wrong. 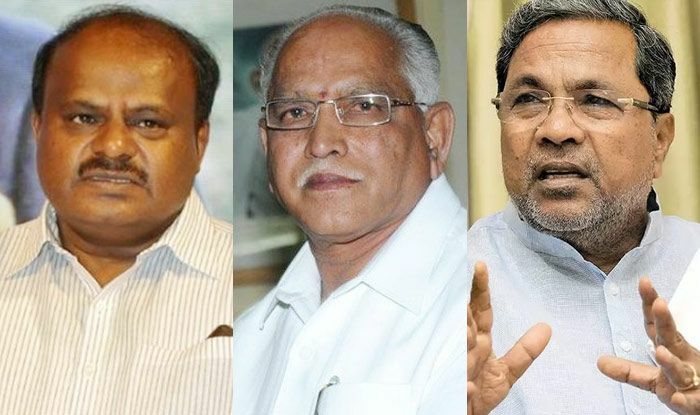 The government is being led by JD(S) leader HD Kumaraswamy, a serious defect considering that the JD(S) managed to win a meagre 38 seats out of 224. BJP with 104 seats fell short of majority figure of 113 by 9 seats, while the Congress was a distant second with 78 seats. Who then do you think has the mandate to rule the state? Ethically, the state deserved the man whose projection as the chief ministerial candidate won the leading number of seats for his party. The MLAs of Karnataka, as people’s representatives, must have endorsed this fact. The reverse, however, happened and is the bitter reality of today. The strong leadership element of governance is thereby compromised. On numerous occasions, the new chief minister could be seen travelling to New Delhi to discuss key issues with the Congress President Rahul Gandhi. The outcome is that the people’s representatives in the state have been sidelined and strategic supervisory and managerial tasks have been outsourced to New Delhi. This outsourcing of decision-making to New Delhi by the Karnataka government is nothing but a clear subversion of the constitution. Now let us talk about another crucial element of governance- stability. We are aware of the discontent that is only growing in the Congress and JD(S) lawmakers and the cadre of both political parties. Distribution of portfolios in the new government was a bone of contention and it was only after Rahul Gandhi reluctantly sacrificed the Finance Ministry in favor of alliance partner JD(S) that a common ground could be found. Discontent is the enemy of stability. The Congress-JD(S) government has come up with a unique idea of coordination and monitoring committee with Siddaramaiah (who quit JDS to join rival Congress in 2006) as its head. What can one expect out of this committee that will meet once every month to ensure smooth functioning of the Kumaraswamy-led government? One man challenged the other for the topmost constitutional office in the state and now they both are being expected to work alongside one another- a rare possibility. Another odd element is that the Congress (the senior partner in alliance but you may call it the junior partner owing to its leader serving as deputy to JDS leader) has grabbed more ministries than JD(S). In no time will the ministers with different ideologies and contradictory poll promises find themselves trapped and suffocated in the alliance. There exists no doubt that the present government is a ‘compromise formula’ devised by the alliance partners to keep BJP out of power. Even a senior Congress leader has publically cited this as the only reason for alliance.What about good governance? Sorry, it has taken a backseat, at least for now. In the interest of the people of Karnataka, who overwhelmingly voted for the BJP, the Congress-JD(S) coalition must instantly be replaced by a BJP-led government. And it is not the governor or the court that must lead this change; it should rather come from the legislators of both Congress and JD(S) who could not vote in accordance to their conscience in the trust vote. Theymust,for the sake of the people they represent, either resign from their seats or form a formidable separate group to let progress prevail in the state. Governance demands strong leadership and coming together of like-minded people.The BJP, without any doubt whatsoever, is best placed to govern Karnataka with zero compromises on the well-being and prosperity of the people. MLAs of Congress and JD(S) have to lead this change; you owe your offices to voters, they deserve good governance and stability in return. Now that the government has been made and it was after the intervention of Supreme Court, they will be in position unless some members willingly defect to BJP. BJP is not able to get support of electorate in any south India state and their alliance partner in Andhra Pradesh have also sided with opposition. Modi doesn’t know cooperative politics. Everyone knows that Congress and JDS only want to keep BJP out of power and they have no intention of good governance in the state. The current politics is politics of compromise. The chief minister will follow the diktats of congress party president and ruin the state of karnataka. Instead new elections should be called. No one can say that it was a fractured mandate. It was decisively in favour of BJP whose candidate had the maximum public support. 2019 lok sabha elections will bring an end to Congress-JD(S) alliance in Karnataka. Congress will not be able to win good number of seats and hence JD(S) will also pull its support. A strong leader is necessary to run the state efficiently. Congress and Kumaraswamy together will be dependent on their MLAs hence they cannot take bold decisions. All political parties have turned equally unethical. Congress aligned with JDS and BJP relied on Reddy brothers to win the elections. The interests of people have been compromised. BJP is so hungry to take over all states of India that they pressured their own Governor to give them the first chance to form government irrespective of the fact that the party did not have majority. Karnataka voters may have given majority to BJP if the chief ministerial candidate had been someone else than Yeddyurappa. He was a tainted politician.